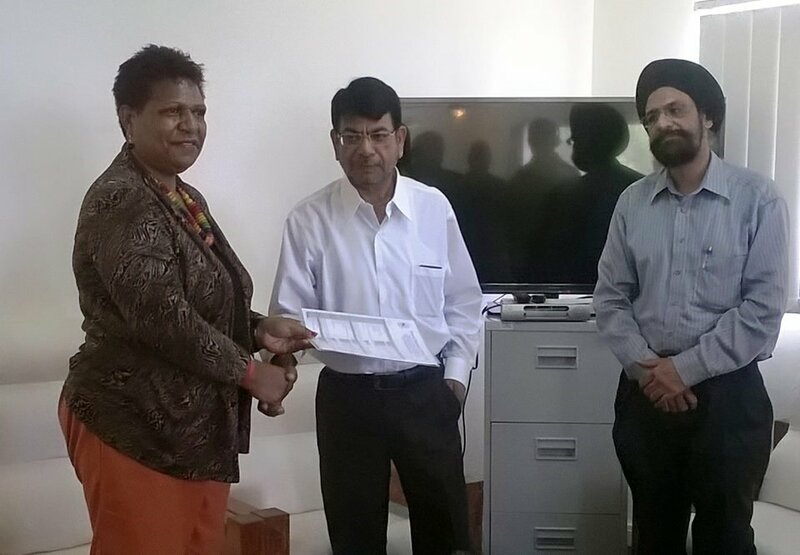 PNG Women in Business Founder and strong women advocator, Mrs. Janet Sape has been invited by the Indian High Commission to represent PNG in a very important trip to India. The Indian High Commissioner to PNG his Excellency Mr. Shri Nagendre Kumar Saxena told the media that this trip is important because of what PNG can learn from India from its industries, its economy, but importantly how the people in SMEs are supported by the government. The trip will also involve meetings with government officials and Mrs. Sape is looking forward to learning and sharing ideas with the Indian dignitaries. PNG has a lot to learn from India given that India over the years has developed into an economic superpower, plus how the country supports local farmers and business operators in developing the economy and together changing the face of the country is something to learn from. At the same time, India also would like to strengthen more its bilateral relationship with PNG and this trip is one way to build a stronger bond between the two countries. India also is a big contributor in beefing up services and developments in the country through its continuous support in all the sectors. Mrs. Sape leaves for the 10 days trip to India tomorrow and will be accompanied by Sir Nagora Bogan. They will both be joined also by representatives of other pacific island nations who will be going on the same trip.